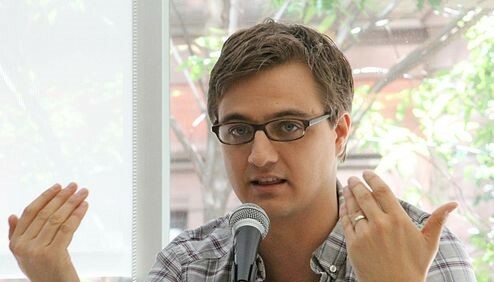 MSNBC host Chris Hayes. Photo courtesy of Joann Jovinelly (editrrix) from NYC. The book festival begins with a launch, and this year it happened on June 15: the Brooklyn Book Festival (BKBF) announced the first 150 writers who will come together for this special occasion, which will open on September 11, 2017. Children’s Day and Festival Day, on September 16 and 17, respectively were also announced at the 11th annual BKBF launch. 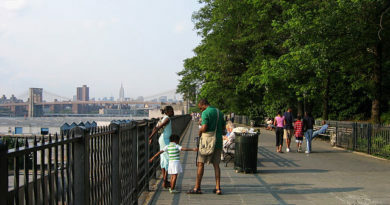 The rich diversity of Brooklyn’s population will be mirrored by the participation of authors from all over the globe. The following names are just a small example of who to expect joining the festival. Colson Whitehead will also be on hand to receive the annual Best of Brooklyn Award. Beloved Brooklyn writers Maira Kalman, Lynn Nottage, Sean Qualls and Selina Alko will also be lauded at the festival. Former Brooklyn Borough President Marty Markowitz founded the Brooklyn Book Festival in 2006 as a way to exhibit literature’s “Brooklyn voice.” Participants can expect to see authors in all the different manifestations of their writing careers, and in all the various genres, including nonfiction, fiction, poetry, comics, young adult, and more. Panel discussions will focus on issues of current political and cultural import, such as reporting on refugees, the Supreme Court, and more, with nearly 100 programs on 13 stages on Festival Day.